Taleggio is a cheese with ancient origins, perhaps earlier than the X century. Some documents dated up to XII century. Its origin area is the Val Taleggio, in Bergamo province, from which derives the name of the cheese, which covers an area of over 80 square kilometers and is situated on the right bank of the river Brembo. The valley inhabitants had the need to store the milk in excess of the direct consumption and began to produce the cheese, once seasoned in "caves" or huts of the valley, that could be exchanged for other products or marketed. 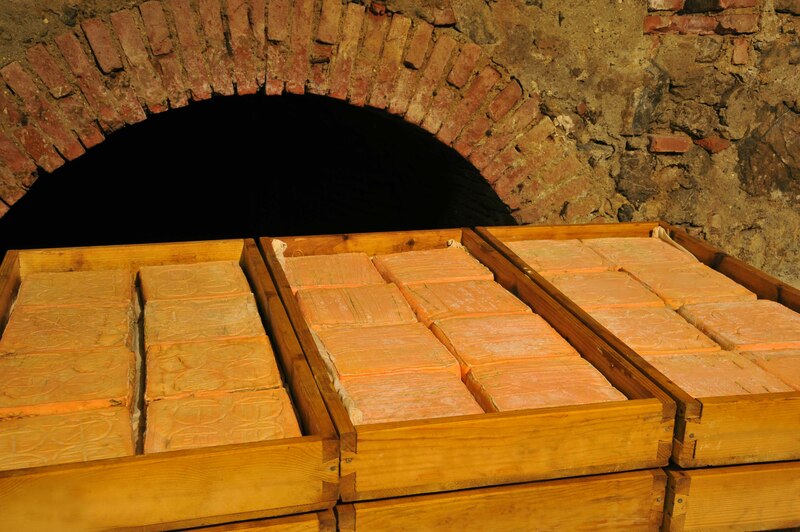 Growing more and more consumption of Taleggio, the production was progressively extended in the Po valley, where started to operate many small and medium-sized dairies, that have managed to balance the traditional production technology with technological innovations occured in nearly thousand years of history. The production of Taleggio, which originally was only seasonal, now takes place during the whole year, not just in the mountains where the cheese was born, but also in large-scale structures or plain dairies. Taleggio cheese has been recognized with Designation of Origin (DO) and with Protected Designation of Origin (DOP). This means that it must be produced and matured exclusively in Lombardy, in the provinces of Bergamo, Brescia, Como, Cremona, Lecco, Lodi, Milan, Pavia, in the province of Novara in Piedmont, and in province of Treviso of Veneto. Each Taleggio weighs 1.7 to 2.2 kg, according to the technical conditions of production, and is presented in rectangular square with sides of 18-20 cm and a height ranging from 4 to 7 cm. The rind is thin, soft and pinkish in color, with presence of gray-green, sage clear characteristic molds. The color is a sign both of proper maturation, that the absence of treatment on the surface, with the exception of normal sponging with water and salt, linked to the correct maturing process. The dough is uniform and compact, softer under the rind and at the end of maturing period, because the maturation occurs from the outside towards the inside (centripetal maturation). What may seems like a layer of fat cheese, is really a more mature cheese. The color of the cheese varies from white to light yellow, with a few small holes. Taste is sweet, with very light acidulous vein, sometimes with truffle aftertaste. Smell is slightly aromatic and characteristic. The outer surface of Taleggio shows the mark composed of four circles that must be easily visible even if the Taleggio is sold portioned into quarters or in other sizes. This brand is a guarantee that the Taleggio cheese has been produced in full compliance with technical standards and hygiene requirements. The mark shows 3 T and a number, which allows to go back to dairy production. 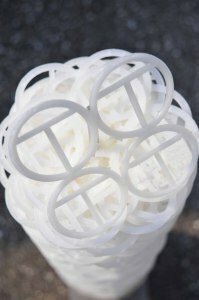 The Consortium assigns, to each dairy or maturers, a number that uniquely identifies it. Taleggio DOP is an Italian cheese whose characteristics are protected by the European Union (EU Rule 1107/96). The Consortium for Protection of Taleggio was established in 1979, nine years before the formal recognition of the designation of origin. Today the membership is made up of dairy farms, milk producers and maturers, and also more than 100 companies participating as users of the brand printed on the wrappers of Taleggio. The activities of the Consortium are designed to protect, improve quality and to promote the production and marketing of the product. For its own activities, the Consortium works with some Research Institutes, Universities, with the Central Agency for the Protection of the Quality and Fraud Repression of agro-food products (ICQRF) of the Ministry of Agriculture Food and Forestry, and all the Institutes of Manage and Prevention of Quality. 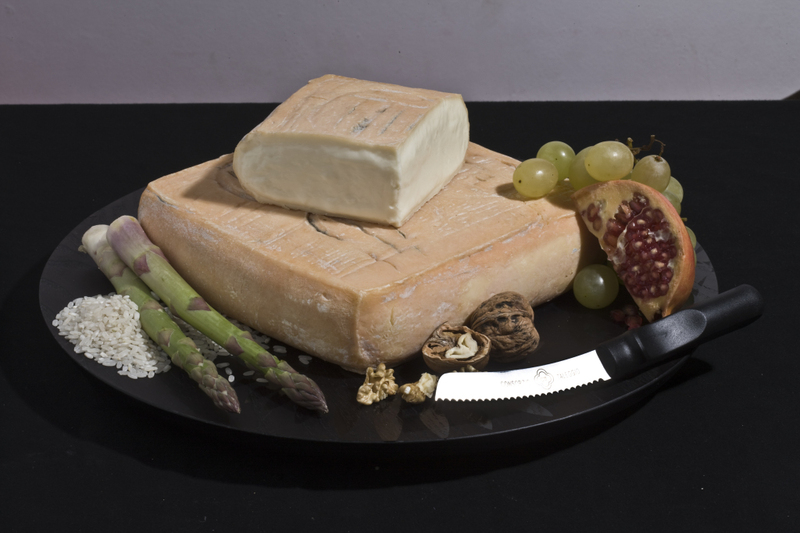 Taleggio cheese is natural, living, and its maturation continues until it is consumed. Consequently it should be carefully preserved to maintain pleasant taste, aroma and texture. It is best if consumed within 5-7 days of purchase. It should be wrapped in a damp cloth to maintain the softness of the rind. Taleggio is a typical table cheese: you can enjoy as a main dish, or after meals in this case is also excellent accompaniment to fruit, such as apples and pears. Must be served at room temperature, to enhance the full flavor and aroma. Taleggio is also a valuable ingredient in the preparation of pasta dishes (pasta, risotto, soup), main courses (omelets), salads and even some types of pizza and crêpes. The composition of fats in Taleggio is balanced. The ratio between calcium and phosphorus contained is 1.32, this allows an excellent calcium absorption in the intestine and the fixing of the salts in bones. This ratio, in fact, must be between 0.5 and 2. The cheese is also characterized by good digestibility, also due to the action on the proteins of the dough from the rind molds. The digestibility of Taleggio, therefore, increases with increasing aging. Finally, it is a natural food: no additive may be used both during its production and in particular during aging. Taleggio is an energy food, rich in protein, minerals and vitamins A and B2. 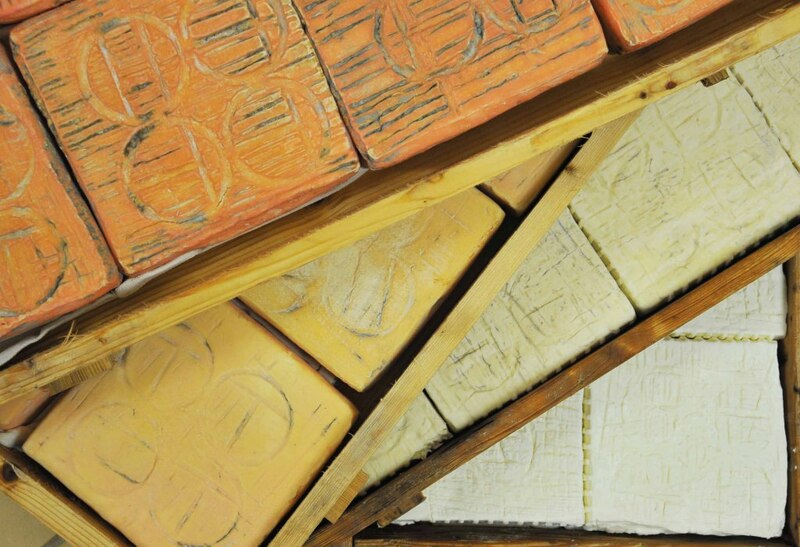 In 2012, production of Taleggio is 8.327 tons. Minimal aging: 35 days, however the product improves with continued maturation. Number of members: 53, including 30 dairies, 23 maturers.